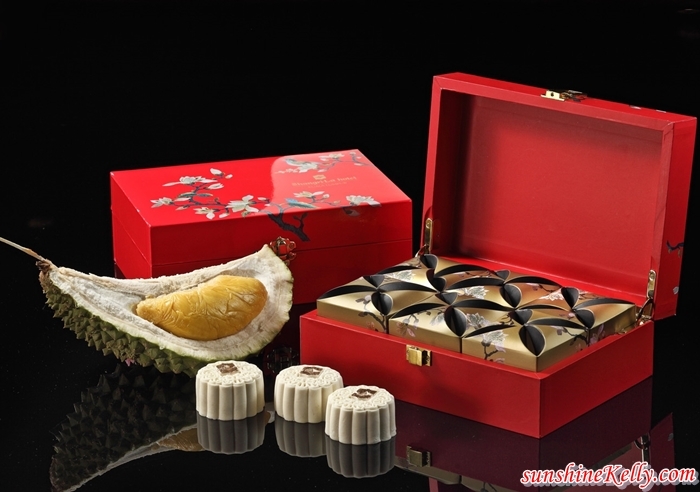 Mid-Autumn Festival is just round the corner, how’s your preparation? Here is the range of classic favourites and snow skin Mid-Autumn Mooncakes @ Shangri-La Hotel, Kuala Lumpur from now till 24th September, 2018. So do you love mooncake? If yes, what is your favourite mooncake flavor? This year Shangri-La Hotel Kuala Lumpur’s mooncake collection consists of 12 flavours, three of which are new and unique in their own way. The baked mooncake flavours include Red Bean, Lotus Seed Paste with single or double yolk, White Lotus Seed Paste with or without yolk and Assorted Nuts & Sun-Dried Fruits. New to the collection is the Yam Paste mooncake with single yolk. My all-time favourite is their Assorted Nuts & Sun-Dried Fruits, the freshness and generous of the ingredients plus also their savoury flavor give such satisfaction in every bite. However, the snow skin selection has 2 popular varieties which include Durian as well as Custard & Bird’s Nest. To bring something unique to the Mid-Autumn Festival, there will be two new snow skin mooncake flavours: Lotus Paste with Ginseng and single yolk and Dark Chocolate with Almonds. As a durian lovers, I go crazy with their Mini Golden Snow Skin Musang King Durian mooncakes. It is so soft and creamy with a strong taste of Musang Kind Durian as if I am easing the real durian. 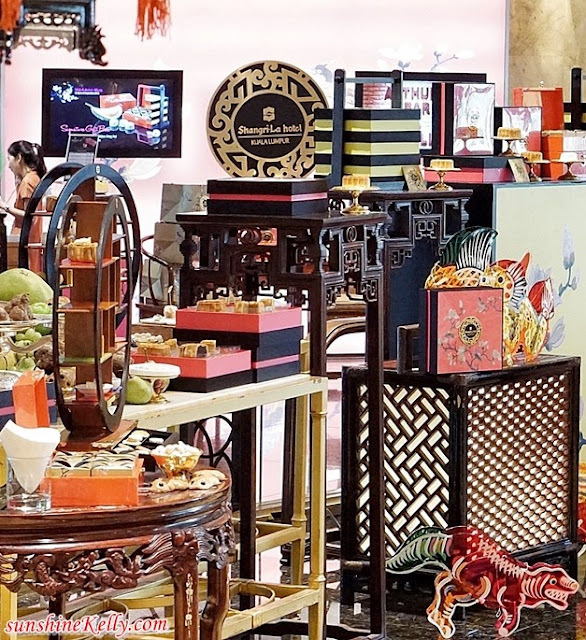 The mooncakes are presented in Shangri-La Hotel, Kuala Lumpur’s luxurious oriental gift box which makes the perfect gift for family, friends and corporate associates. 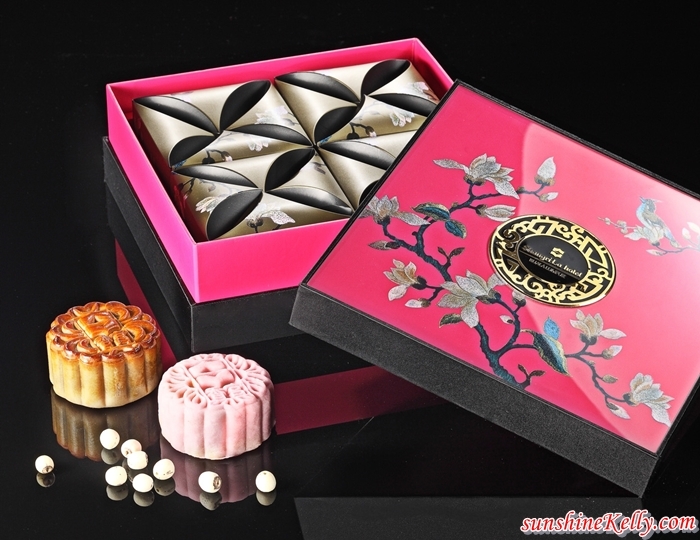 The one-tiered Deluxe Gift Box features four baked or snow skin mooncakes while the three-tiered Premium Gift Box fits 12 varieties of baked mooncakes. Shangri-La Hotel, Kuala Lumpur has also designed a Signature Gift Box which will hold six mini snow skin Musang King Durian mooncakes. Mooncake gift boxes can be customized to include the name and logo of companies for purchases of 50 boxes or more on a single receipt, with three days’ prior notice. For every mooncake gift box purchased, you will receive a rebate voucher worth RM20 which can be used at Shang Palace, Zipangu, Lafite and Lemon Garden. 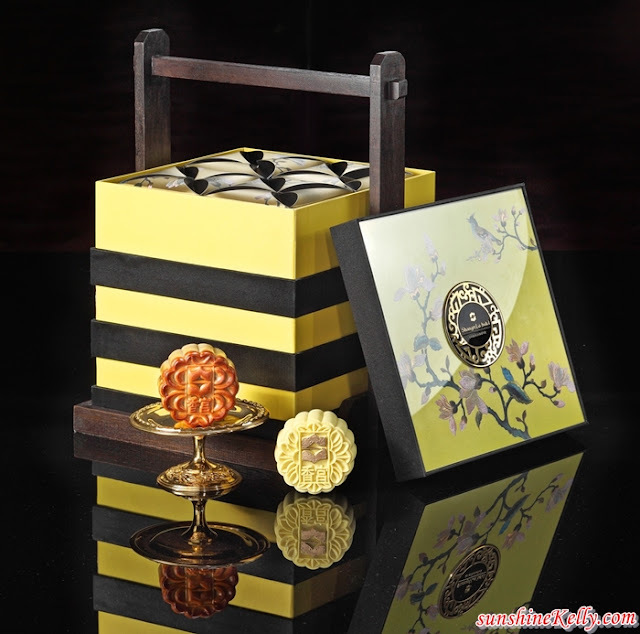 The price of the mooncakes at Shangri-La Hotel Kuala Lumpur ranges from RM 31 to RM 66 for individual pieces and RM 124 to RM 518 for the gift boxes. The mooncake counter at the hotel lobby will be open daily from now till 24th September, 2018 between 10am to 9.30pm for you to choose and purchase their mooncakes.